In the months ahead, OTA television station owners face some momentous decisions. Fast-changing technology will force them to either sell their spectrum in upcoming FCC auctions or rebuild their technological and business infrastructures to operate in a highly competitive Internet-centric future. At NAB 2015, a completely working ATSC 3.0 broadcasting system will be demonstrated by Futurecast, a coalition that includes LG Electronics, its U.S. R&D subsidiary, Zenith and GatesAir, plus other partner companies who have been working with the ATSC to develop components for the system. The companies will demonstrate at NAB the ATSC 3.0 Physical Layer with an Applications/Presentation Layer and a Management/Protocol Layer. The candidate standard, expected to be approved by year end, includes delivery of 4K UltraHD video, mobile TV, live emergency alerts and targeted advertising. For all its benefits, ATSC 3.0 is a huge change for broadcasters and it’s not backward compatible with current broadcast systems. It will move to OFDM (orthogonal frequency-division multiplexing), IP-based transport, HEVC video encoding, layered coding to allow a core and enhancements to be added on top, and hybrid TV to allow things like graphical overlays delivered outside of the main video signal. Futurecast is a coalition of companies who have been working with the ATSC to develop components for the next broadcast system. On the positive side, the system is highly flexible. It will allow broadcasters to — on the fly — change from broadcasting 4K to multiple channels with far better and more robust reception. It’s so flexible that as compression technology improves, it can adopt to it. If 8K transmission becomes desirable, the standard can be upgraded to accommodate it. All is not perfect, however, among broadcasters. Some resist the idea of doing a full and very costly infrastructure conversion so soon after the analog to digital transition. Some networks have been vague in their public support for ATSC 3.0. Others wonder if the new technology is really necessary. 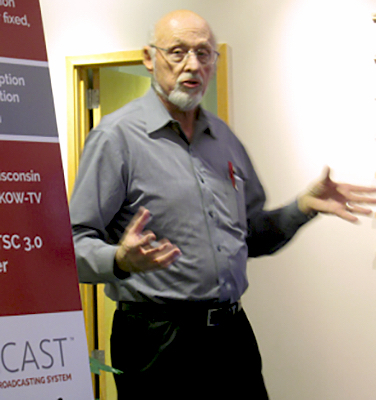 Jay Adrick, a 44-year broadcast industry veteran with extensive experience in the design and integration of digital broadcasting systems, is a technical consultant to GatesAir and an expert on ATSC 3.0. He addressed the reluctance of some broadcasters to get on board. However, he added, “if you look at the participation in the ATSC, you’ll see that much of the activity is being led by broadcasters. They are leading it because they want it. They want a system that will allow them to remain competitive and be advanced over where they are today with the current ATSC system. 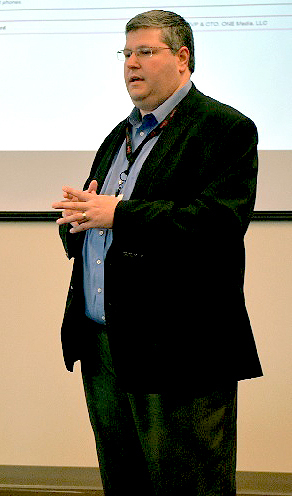 Jay Adrick is a long-time RF expert and technical consultant to GatesAir. As for the major networks, Adrick warned that the general public shouldn’t believe everything they hear or read about their support. For broadcasters who choose to upgrade to ATSC 3.0, there are four key system components that will be needed at a very minimum for basic operation. To broadcast 4K or multiple channels, the changes become more extensive and costly. Another component involves PSIP, the Program and System Information Protocol used to carry metadata about each channel in the broadcast MPEG transport stream of the station and for publishing information about programs so that viewers can select what to watch by title and description. Broadcasters would have to change to a signaling server for that function, which is primarily a software change. Next, broadcasters would need a new studio-to-transmitter link. The extent of this change depends of the type of technology used by the station today. If fiber is used, it would basically mean the change of modems on each end. If microwave is used, it would mean converting to IP microwave. In some cases, it would mean a totally new system. Dr. Skott Ahn, LG’s president and CTO. And finally, the station’s transmitter would require a new exciter. Buyers who purchase a new transmitter today with ATSC 1.0, could upgrade with a simple software update when the ATSC 3.0 standard is approved. A new feature added to the Futurecast system includes flexible coding choices which enhance indoor TV signal penetration for mobile reception and offers better multipath performance. “Futurecast now has increased data throughput by 36 percent for fixed reception and improved multipath performance, as compared with the current DTV standard for fixed and portable TV reception,” said Dr. Skott Ahn, LG’s president and CTO. Also new to Futurecast is emergency alerting that triggers the Advanced Warning and Response Network (AWARN), the next-generation alerting system announced earlier this year. Using the common alerting protocol, AWARN can wake-up a receiver and includes rich-media features such as video, evacuation routes and HTML pages. Triveni Digital is demonstrating the capability to deliver addressable content on two LG Smart TV systems that render the advertisement slot differently while displaying identical program content. The goal is to show how broadcasters can leverage ATSC 3.0 technologies to extend their current service by distributing addressable content such as targeted ads or personalized/localized program elements to viewers. The new features will be part of the ATSC 3.0 Candidate Standard, expected to be approved by December, 2015. Hundreds of broadcast experts have been working to assemble and document the new broadcast standard. As to the lack of backwards compatibility, Luplow said it hasn’t been an issue. “People recognize to make a quantum leap forward it’s pretty hard to drag what has been and still is,” he said. 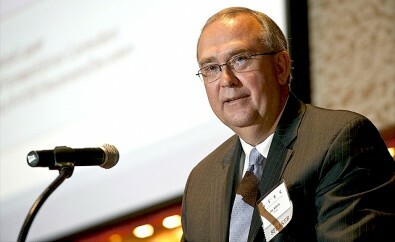 Wayne Luplow is former chairman of the ATSC and currently vice president at the Zenith R&D Lab, owned by LG Electronics. How to transition to ATSC 3.0 is now a topic of discussion at ATSC and NAB. A transition involves both broadcasters and home viewers. One major area of discussion is the concept of using a home gateway device that would hook-up to smart TVs with Wi-Fi or Internet connectivity. The gateway would take the off-air signal and convert it into an IP networked signal for the television receivers. Also under discussion is how the ATSC 3.0 standard would impact the repacking of TV channels after the FCC auction. One reason for the rush to get the standard written is because broadcasters want it to be part of the repacking process. This spring, Futurecast will begin another series of tests in Cleveland, Ohio on Channel 31. The Cleveland field tests over the next six months precede what could become a joint project of NAB Labs, the Pearl TV broadcaster partnership, Tribune Media and others that are eager to develop a test-bed and a ATSC 3.0 model station. The day and night tests will use the transmitter and broadcast facilities of WJW-TV, the Tribune Media-owned Fox affiliate in Cleveland. Earlier, tests were performed in Madison, Wisconsin, which gathered data being used in the upcoming trials. Broadcasters in the midst of Internet-connected television competition are facing the biggest set of challenges since they originally went on the air. They can either take the money for their spectrum in the FCC auctions or face investing in their technical and business systems to reinvent themselves for a new era of terrestrial broadcasting. “The bandwidth-efficient capacity of digital television brings the opportunity for new channels and services like mobile broadcasting and IP distribution, keeping broadcasters competitive in a fractured media landscape,” said Rich Redmond, chief product officer at GatesAir. Rich Redmond, chief product officer at GatesAir, is keen to see a successful shift to a new broadcast standard because of the new services it offers OTA stations. ATSC meeting. Attendees focus on helping build the industry's next broadcast platform.